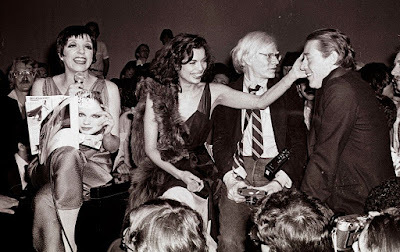 With STUDIO 54 opening Friday in theaters here is a repost of my brief review from this years Tribeca. Ian Schrager breaks his silence to tell the story of Studio 54. Sold to me as the definitive story of the legendary night club by someone associated with the film, its more like a glitzy coffee table book that looks great and lacks complete substance beyond the surface. Other than the frankness and the uncensored pictures there isn't much that we haven't seen before. Yes I was entertained but I didn't come out feeling as though I really learned anything new. Decidedly good but not definitive.